A dairy lawn where cattle grazed. An underground tram transporting provisions from harbour to castle summit. Bronze footsteps to commemorate where visiting royals have stood. Set foot in the village and you’ll find a thriving community with a rich history. Rewind to classical times and the island is thought to have been a trading centre for the tin industry. More than two thousand years ago Phoenecian ships may have sailed into the Mount’s harbour and exported Cornish tin to the rest of Europe. The island’s population ebbed and flowed, but by the early 1800s, the Mount was thriving commercially and the village was alive with activity, home to over 300 islanders with 53 houses and four streets. Pubs welcomed sailors and fishermen, a school taught the island’s children, a parish policeman kept the peace, the dairy churned butter and the green saw villagers gather to play bowls. It was said that at times you could walk from one side of the harbour to the other stepping over the boats that were moored there. There were net lofts, stables, a pilchard press and even a Victorian Change House, where castle residents could change into their swimsuits for a sea dip. Today, the village plays home to a smaller community with 30 islanders living and working here. 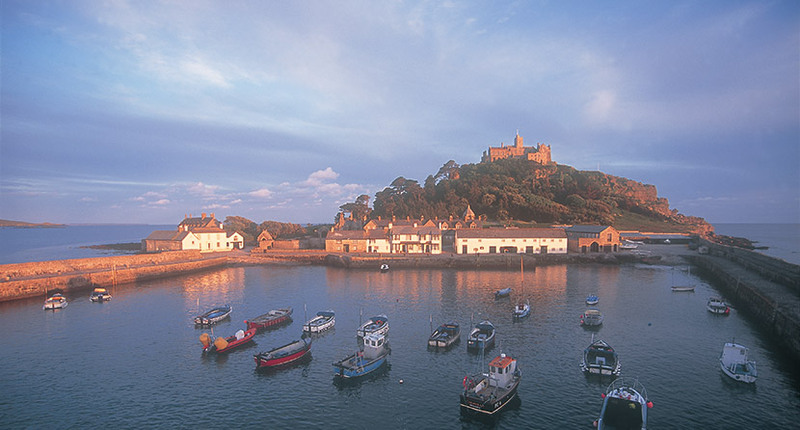 But stroll along the harbour front and you can still see many of the buildings that shaped the village’s past – from the blacksmith’s forge that is now home to the Courtyard Shop to the island laundry that now houses the Island Café. 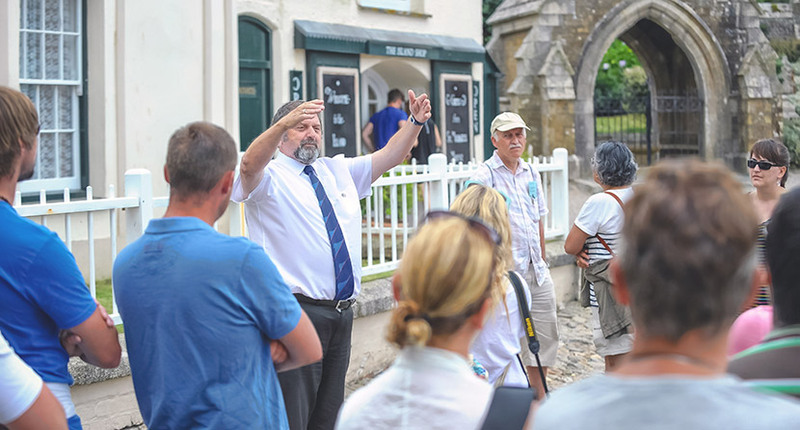 We run guided tours of the village and harbour every day, except Saturday, at 11.30, 13.30 and 14.30. Hear about the families that call the Mount home, explore the buildings that have played many roles in the village’s history and discover what life here today is really like. Ask at the ticket office for more information or visit our What's On page for further details.